This cruelty free shampoo is full of natural and organic ingredients to strengthen and restore damaged hair. Biotin and Vitamin B5 thicken hair and revitalise elasticity, while Ginseng and lavender extracts repair split ends and minimize future breakage. 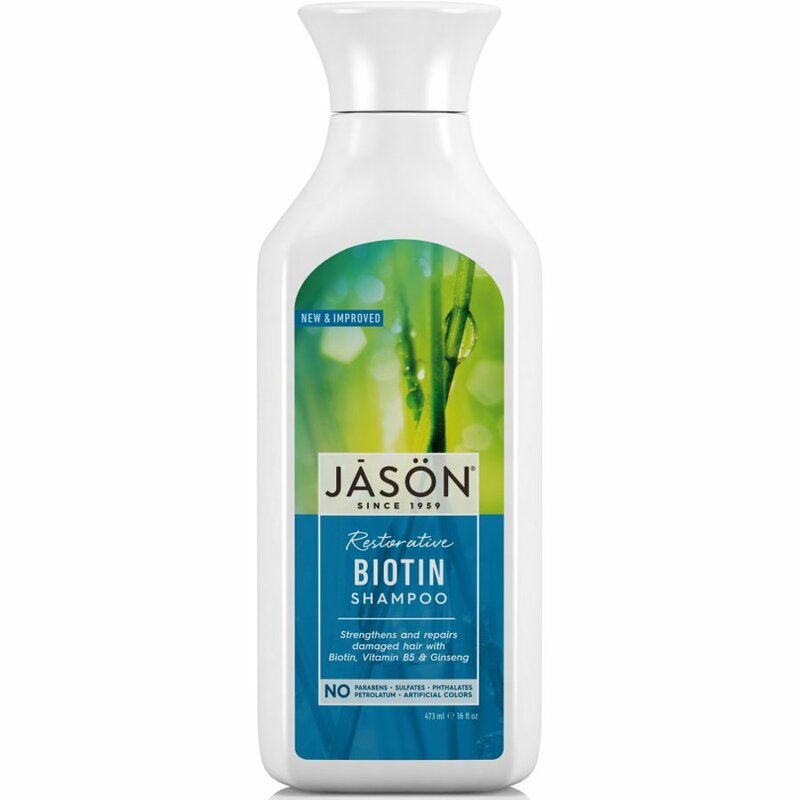 The Restorative Biotin Shampoo from Jason is paraben, SLS and phthalate free to naturally clean and strengthen hair. Gently massage shampoo into wet hair and scalp, rinse and repeat where necessary. Follow with Jason Biotin Conditioner. The Jason Biotin Shampoo - Restorative - 500ml product ethics are indicated below. To learn more about these product ethics and to see related products, follow the links below. There are currently no questions to display about Jason Biotin Shampoo - Restorative - 500ml.